You can see the difference in thickness in these photos. So my conclusion is this- If you want the best and BBQ often then these lifetime charcoal baskets are a no-brainer. If all you do is throw burgers on the grill occasionally you probably don’t even know what the charcoal baskets are for in which case the stock baskets would work out just fine. Seeing as the charcoal baskets are such a large part of my BBQ routine these were at the very top of my BBQ wish list. there are many BBQ accessories that are frivolous and end up being used once and then stuck in a drawer. these get used about 85% of the time I fire up teh kettle. no-Brainer purchase! I paid $10 more for mine that I’ve got all sealed up in it’s original packaging. 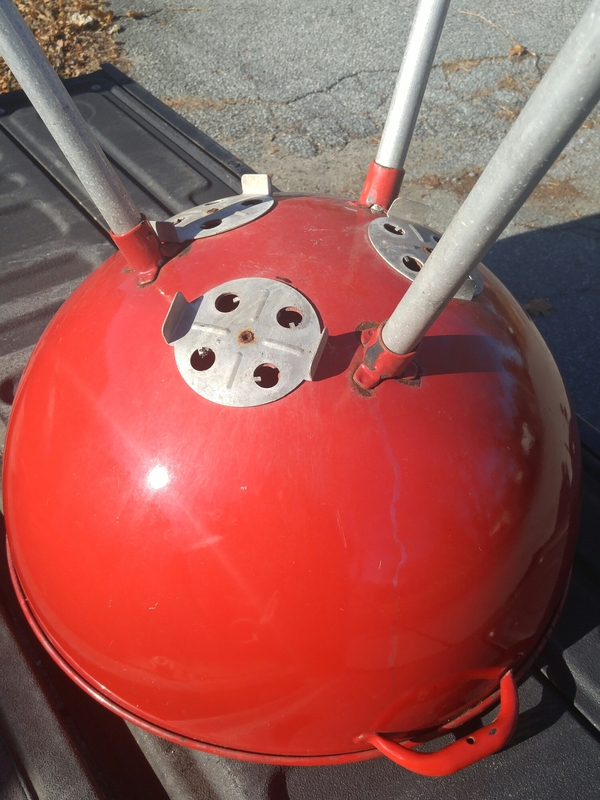 $48.94 is a bargain for one of the coolest color Smokey Joe’s ever offered in the States. 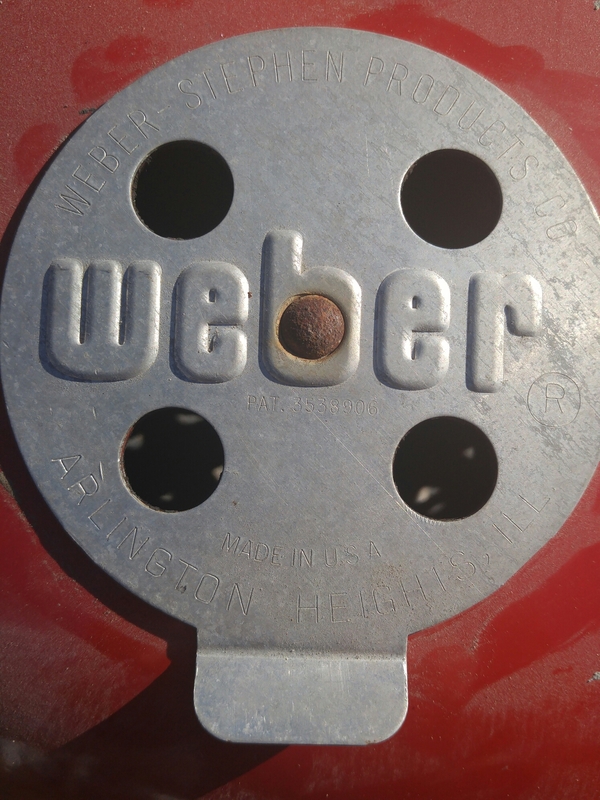 The 1978 Vintage Red Metal Bowl Handle Weber Kettle Just Like The One I Drove Two Hours To Buy Last Week In An old School Commercial. Here’s mine. I still haven’t had a chance to clean her up but with a little elbow grease she’ll be looking close to looking new. They don’t sell these in the States. They were sold in Iceland, Germany and Dubai in 2012 from what I can tell. Eric Lorden Started the ginormous brisket early in the morning using the John Henry’s East Texas Brisket Rub you sent and the results had everyone clamoring for more! 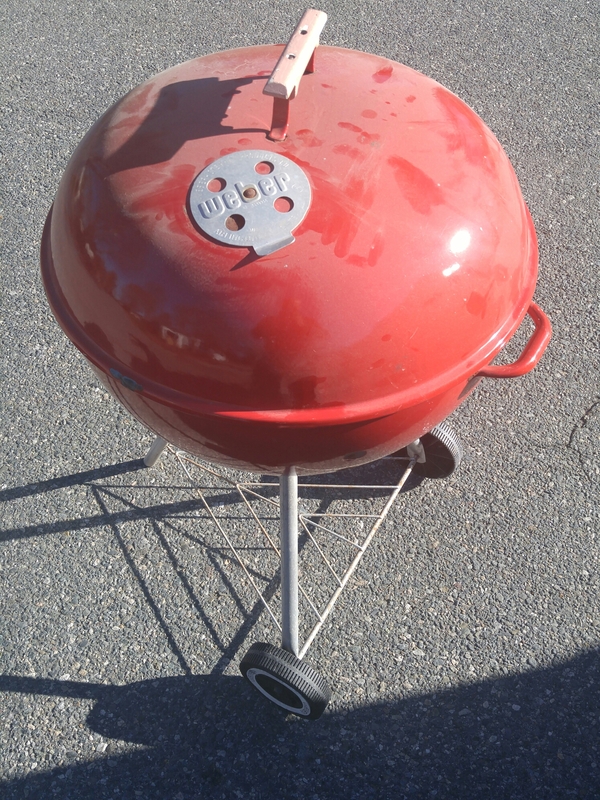 Two hours to Bristol RI and two hours back for this gorgeous 1978 Classic Weber Redhead. Been stored away for a while. Look at the dust! Just wait to see thus baby shine! Starting out with a Sreamin’ Sicilian Frozen Pizza. Fire up the kettle with a heaping chimney full of coals and the charcoal baskets pushed wide apart so we can place the pizza in the middle for indirect cooking. 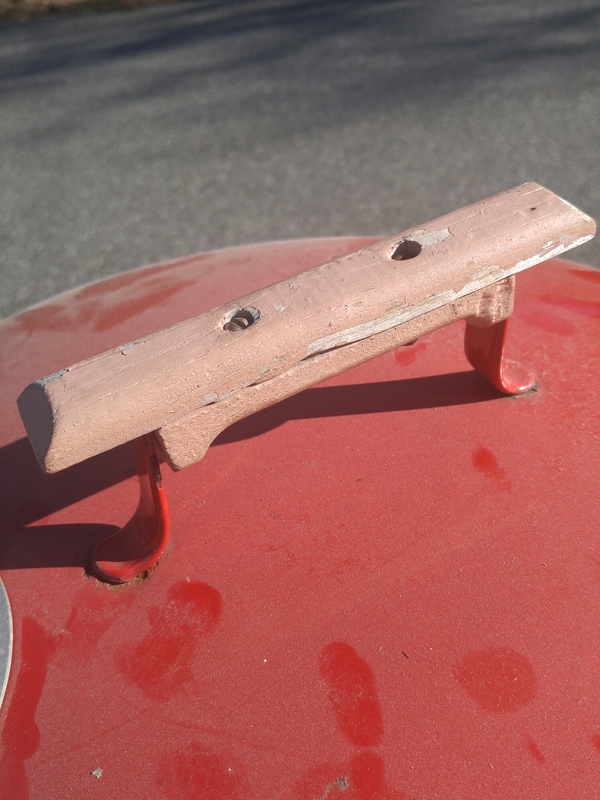 A chunk of cherry for smoke. 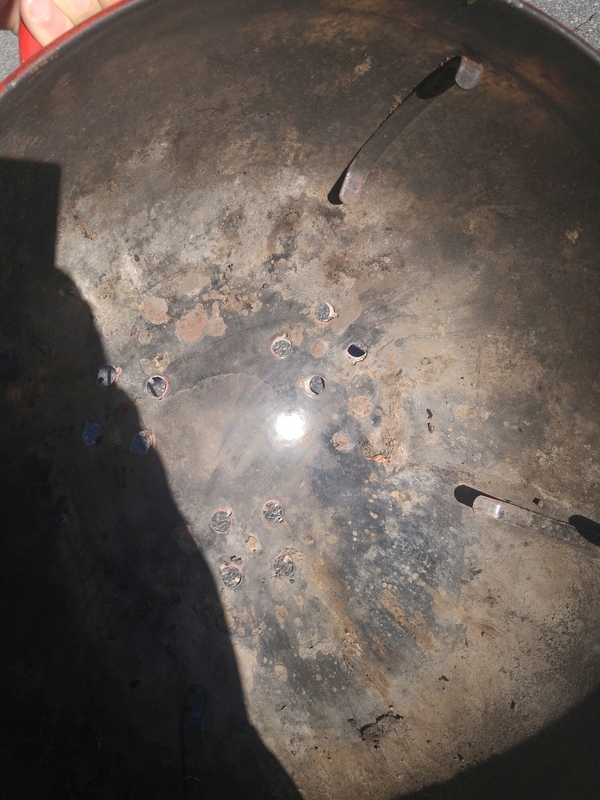 also a couple of slivers of foil to guard the edges of the pizza from where they would be over the charcoal baskets so the pizza won’t burn. Set the timer for 18 minutes. I’ll report back. I’d say its a 5 on a scale from 1-10. If we didn’t live in a community full of awesome Italian bakeries and pizzerias it would probably score a little higher. Anywhere else like say the Midwest it’s probably a 6.5. Edible, and just OK but I won’t be seeking it out any time soon to do again.